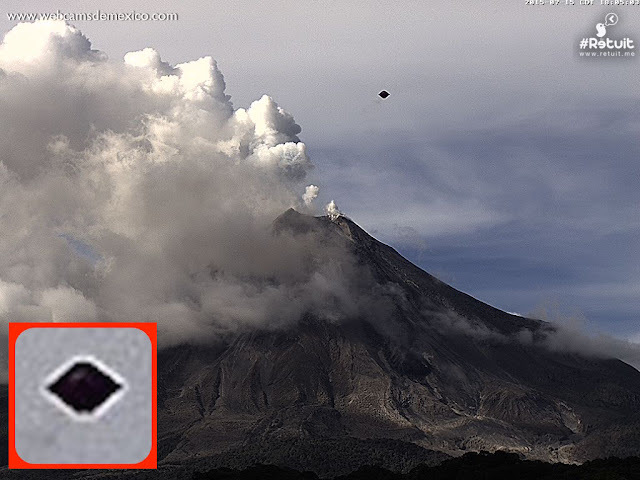 UFO SIGHTINGS DAILY: UFO Over Colima Volcano In Mexico Caught On Live Cam, July 2015, UFO Sighting News. UFO Over Colima Volcano In Mexico Caught On Live Cam, July 2015, UFO Sighting News. 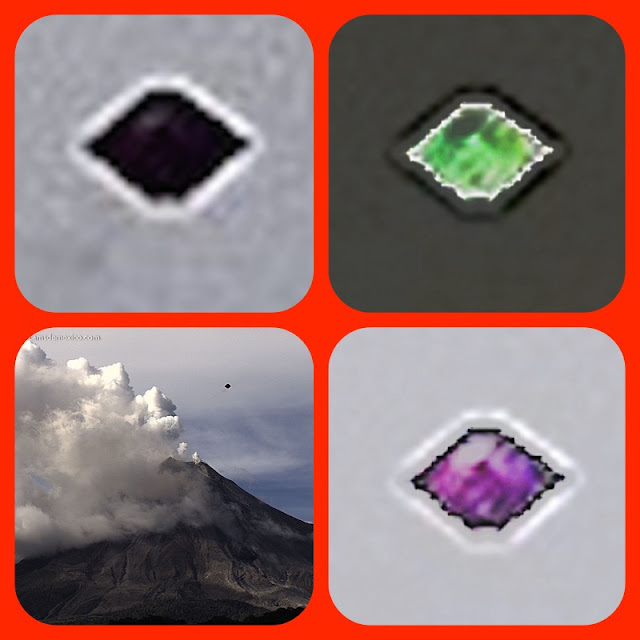 This was seen over Colima Volcano, Mexico. Found by Streetcap1 of Youtube, its a really amazing disk. Its has the classic design, simplistic appearing. I have no idea how he does it, but Streetcap1 is really one a high role right now. 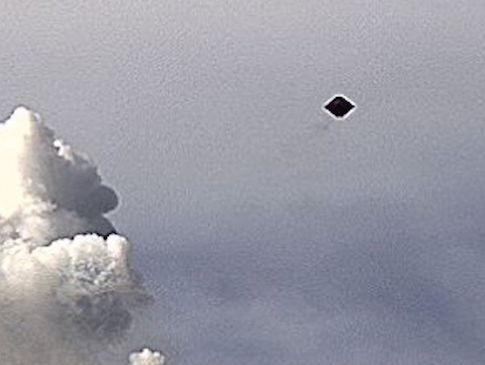 This is the best UFO I have ever seen over a volcano this year. I tried to add light to it, but it didn't reveal a disk design, but instead an energy shield around it. Its natural color is actually purple. 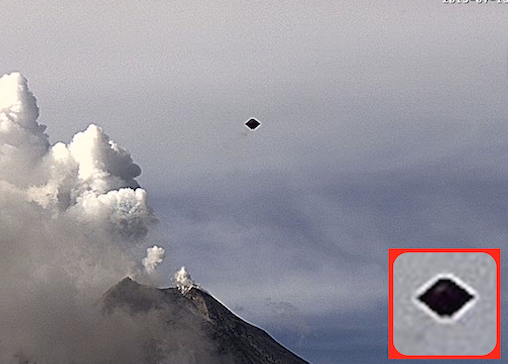 Also the fact that this UFO is almost directly over the mouth of Colima volcano also is proof that it came from the volcano. Often locals near these volcanos have reported UFOs near them. Internet cams are fast becoming the most valuable tools of UFO hunters worldwide.